After graduating from the Chicago School of Violin Making in 2001, I came to Los Angeles to work at the historic Hans Weisshaar Violin Shop for Margaret Shipman. Margaret and the late Hans Weisshaar co-authored the book Violin Restoration. It was a great privilege to apprentice under Margaret and learn proper techniques of repair and restoration. It was also a great place to study instruments and bows. Today, I make instruments, bows and do bow restorations. I am currently not taking any instrument repair and resoration work except for instruments I made. Ever since I was a child, I have been drawing, making plastic models, and creating art works. I've always wanted to be an artist, but went into Engineering as a college major. In college, I was exposed to violin playing and the wonderful world of violins. I took both piano and violin lessons, and went to the library to study violin books often. After a year of graduate school, I decided to go to the Chicago School of Violin Making. It was a great decision. While in school in Chicago, I furthered my art studies by taking drawing and photography at Northwestern University. At CSVM, I studied with violin makers Rebecca Elliott, Fred Thompson and Tschu Ho Lee. After graduation, I decided to get more repair and shop experience by going to Hans Weisshaar Violin Shop to work. I worked three years as a violin maker and then five years exclusively as a bow maker. Studied violin making primarily with Tschu Ho Lee and Rebecca Elliott. Graduated from CSVM in 2001. From 2001 to 2009, worked as violin maker and bow maker at Hans Weisshaar Violin Shop in Los Angeles, California. 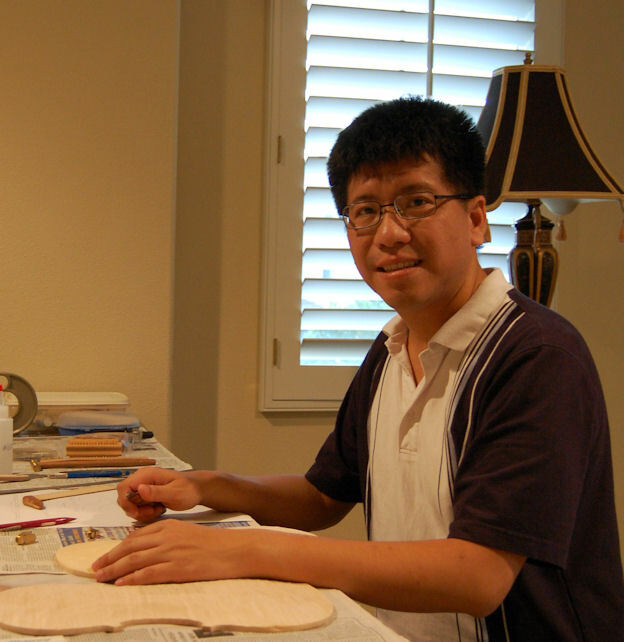 In June 2009, opened Joseph Liu Violin Bow Studio. Copyright 2015 Joseph Liu Violin Bow Studio. All rights reserved.